Sorry, we couldn't find any Roselle Motors, Inc. listings that matched your search criteria. 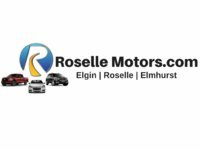 Saved Search: Roselle Motors, Inc. Wanted to see the Hummer instead I waited for 4 hours got my information, waited and they lost the key for the hummer most of them can't speak english. They tried to Jack up the price too. Don't go here go somewhere else!! Great, but truck was already sold. System was not updated. Yes, I actually checked out one of the vehicles. However, the one I was seeking was not there (at the other location) but I was pleasantly surprised to see the same brand vehicle there with less miles and a little newer than the one I originally seen. Very nice salesperson. He got the keys and started it up for me. I'm still thinking about this vehicle today. Kris and Joe were upfront, reasonable and very helpful. Our 2013 Fiat was missing a mirror and they told us they had already ordered it and would call us when it arrived. They kept their word from the start of our negotiations until after the deal was closed. We got a fair price for a decent car and were treated professionally. They took forever to contact me and then they said that they could help me with the 2004 Dodge Dakota that I was supposedly interested in. I had actually inquired about an '85 Mercury Grand Marquis 2 door coupe. they took way too long for a reply. It had been days since my inquiry so I told them I wasn't interested anymore. Salesperson called me promptly after I e-mailed about my interest in the car. Unfortunately it had already been sold. They called me back the following day which is better and faster response than other dealers I have contacted anyway the car I was interested in it was sold already. My 20 year-old-son went to Roselle Motors at noon on a Wednesday to look at a car that was online. The car was not on the lot because 'a worker was driving it'. The salesman proceeded to make an appointment for the next day at 4:00pm. I went with my son at 4:00 and the car was not on the lot again. The salesman said his worker had it and asked if we can come back the next day. I asked him if he knew the worker had the vehicle, then why didn't you call my son and tell him not to bother to come by since the car was not available. His response was " It's not my fault." I contacted them through CaGurus that night. I did receive a phone call the next day telling me the car was sold. Good afternoon, we're sorry to hear about your recent bad experience with us. I'd like to be able to discuss this further, feel free to contact me at (630)539-0090. You can ask to speak with Luis or Alberto, Thanks. Purchase had issues that were not disclosed. Lots of little things found after purchase. 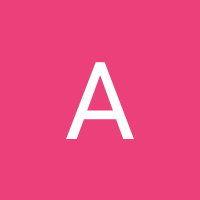 Concern for AC during pre-purchase discussions were not addressed seriously. They did replace brakes AFTER I discovered that they were bad. Some of the things that we found happened after they had the vehicle in their possession. Love the vehicle but was overpriced for the major items that need to be fixed. Just asked for pictures, got them. 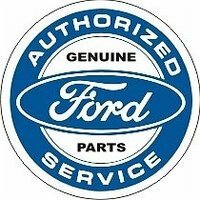 I didn't buy this Ford , ended up buying a beautiful Lincoln Navigator from them great staff went above and beyond to make me happy with my purchase. I would recommend to anyone. Thank you again!! This was very quick to amswering my respond. They explained in details about the car. Do not like being lied too. I went to look at a truck and was told the owner had taken it home and that it would be on the lots later. I went back later and the truck never returned and the sales guy said a customer had it out on a test drive and then when questioned about the owner having it changed his story. Bad feeling upfront! Very helpful and low pressure sales staff.